Patent Pending "Locked-N-Loaded" mode fully locks the pulley wheel into "static mode" with the use of a magnetic pin, which greatly adds to the stability of the CrossCore180® when in use. The Locked-N-Loaded magnetic pin can be easily removed (Pull The Pin) at any time and stored at the top of the pulley. Unlocking the pulley puts the CrossCore180® in "open mode" and allows for more advanced exercises or for freeweights and resistance straps to be used. Self leveling handles. The CrossCore180's Patent Pending pulley system assures the user will never have to re-adjust the height of the handles during an exercise when in "open mode". Foot cradle padding keeps straps from cutting into the legs and arms when performing certain exercises like knee raises and hamstring curls.These cradles open and close for a snug fit while exercising. Handles are interchangeable with other cable attachments such as ankle straps, D handles, rope attachments and more. 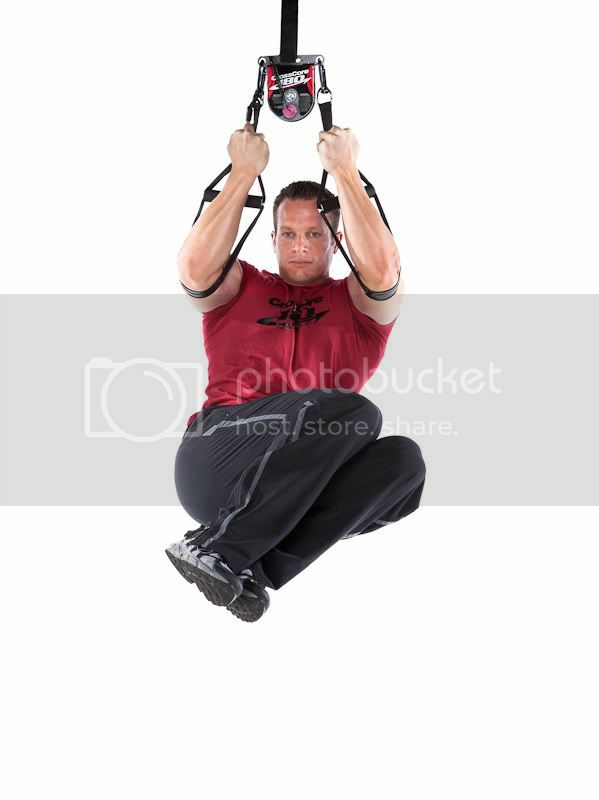 Rope length can quickly and safely be shortened to any length to add versatility to your exercise routine. Adjustment is only needed on one side! Counter weights (maximum 50 lbs), such as a Kettlebell or resistance band, can be added to one side to provide resistance on the other. The CrossCore180® is the only "suspension type" of trainer on the planet to use body weight, freeweight and resistance bands as a means of resistance. Resistance for most exercises can be increased or decreased in "micro increments" simply by moving the feet forward or backward. A crossover (same as cable crossover) can be created by spacing two CrossCore180's about 8' apart and then using weighted resistance, such as a Kettlebell. 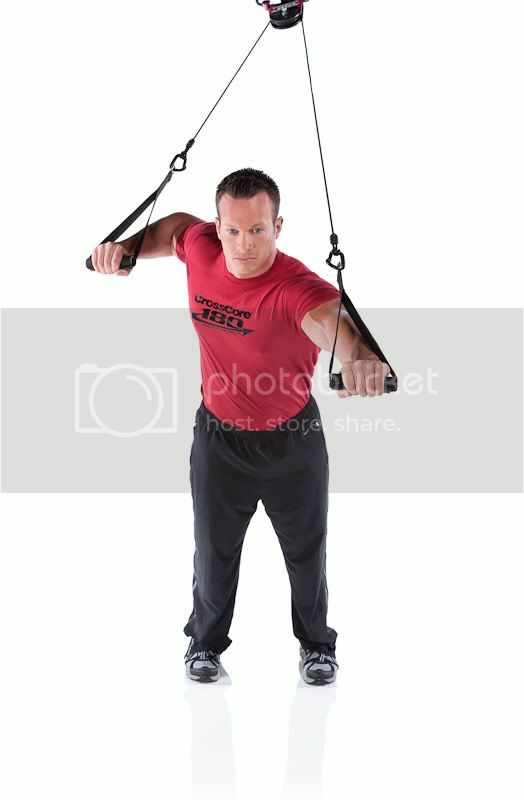 This creates an unbelievable workout solution for those situated in isolated areas, such as our Troops. The built in Door Anchor is included FREE and is always attached to the anchor strap and ready to use at any time. PVC coated so it will not scratch. Take it with you! Your CrossCore180® can go with you to the park, to the gym, on vacation or wherever you'd like to go for a change of pace and it all fits into a convenient carry bag. If you are in the military, the CrossCore180® literally solves all your past problems with trying to source fitness equipment while out in remote areas. Total weight rating is approximately 1,000 lbs. This is a commercial grade piece of equipment and will hold up to whatever you throw at it. Anyone on a budget that needs a total body workout that takes up very little space. The beginner. Don't be intimidated by the name. The CrossCore180® also has a gentle side for those who need it. Because you use your own bodyweight, adjusting the resistance on most exercises is as simple as moving your feet backward or forward. You are able to start with little to no resistance and increase in "micro increments" at your own pace. Rehabilitation patients. 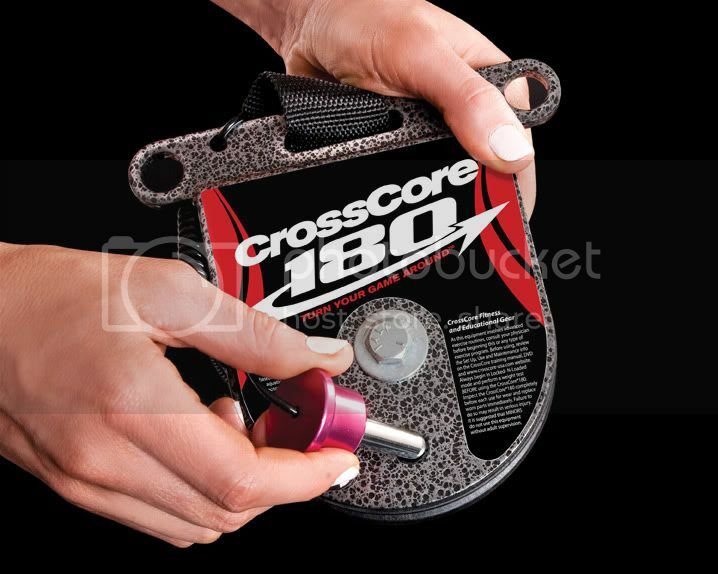 Since the CrossCore180® allows for little or no resistance on many exercises, it may be just what the doctor ordered to get you up and just simply moving around until more resistance via your body weight can eventually come into play. The CrossCore180® is also a great stretching tool. Persons with disabilities. If you use a wheelchair, the CrossCore180® may be the affordable and space efficient way for you to start strengthening that upper body again. Many simple exercises can be performed right from a wheelchair. The adjustable strap and portability makes this a very wheelchair friendly solution. Counter weights and resistance bands can be attached to one side giving you endless possibilities and capabilities. Outdoor training enthusiasts. Strap the CrossCore180® to any sturdy point of attachment such as a pole, beam, tree branch or any place you desire. Sports related training of all kinds. The CrossCore180® is non sport specific and will make you more flexible, stronger and will greatly improve balance and core strength. If you want to excel in what you do, the CrossCore180 can greatly help you break through your plateaus. Army, Navy, Air Force, Marines, Coast Guard and Special Ops. 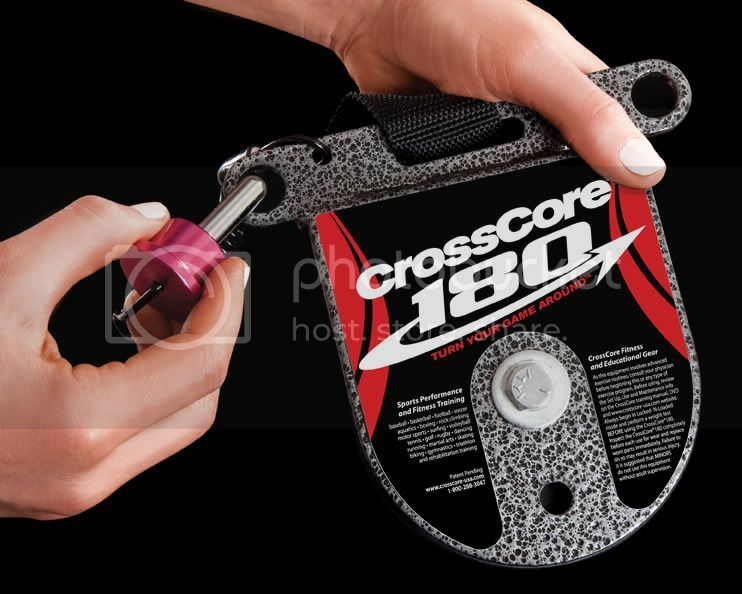 The CrossCore180® is rugged, light weight, compact and an extremely effective tool for the entire body that only requires the users body weight. It is made in the USA with only top quality and extremely strong components. Overall weight capacity is approx. 1,000 lbs. Group Training Facilities. The CrossCore180 can be set up quickly to use in any mobile or permanent group training facility. High Schools and Colleges. The CrossCore180 will teach your students the importance of using proper form while working out, flexibility and the importance of a strong core. Since only body weight is used, the CrossCore180 is a very safe supplement or alternative to traditional weightlifting programs. The CrossCore180 is currently being used by the entire coaching staff at UCLA and has received rave reviews from them and their students. It has now become a very important implementation into their training routines. Those of you who support American Made products. The CrossCore180® is Proudly Made In The USA. Does the entire system fit into a small bag? Does the unit include a training manual? Does the unit include a training DVD? Does the system have a built-in door anchor? Is there an optional ceiling/wall anchor available? 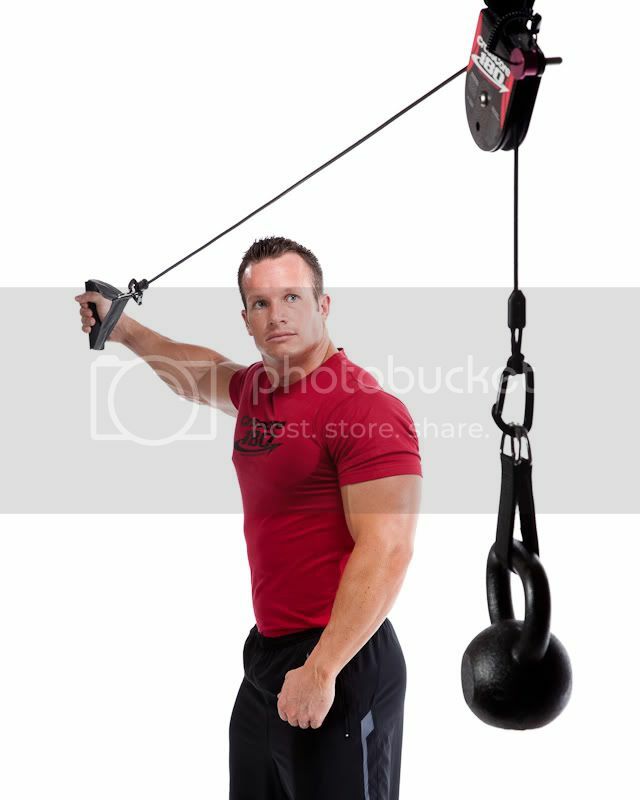 Are the handles interchangeable with other attachments such as gymnastics rings, ropes, D-handles, etc.? Can worn handles be replaced without having to replace the entire unit? Does the system allow exercises to be performed with rotational movement so as to mimic the natural movement of the body? Can the system attach to an anchor point as low as 7' and as high as 11' without any additional extension kit? Will this unit allow exercises such as pull-ups and knee raises to be performed from a normal anchor point height? Will this unit allow for a full body workout to be performed almost anywhere in the field? Will the unit accept counter weights to be incorporated such as Kettlebells, weight plates, etc.? 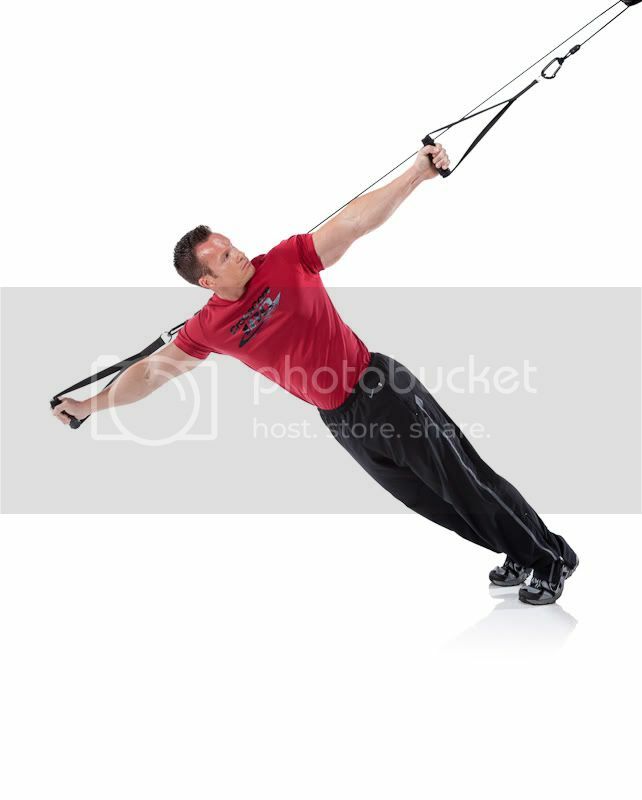 Will the unit accept resistance bands to be incorporated? Does the unit include "self leveling" handles so the user will not have to re-adjust the lengths during use? Do the foot and arm cradles adjust to custom fit any size user? 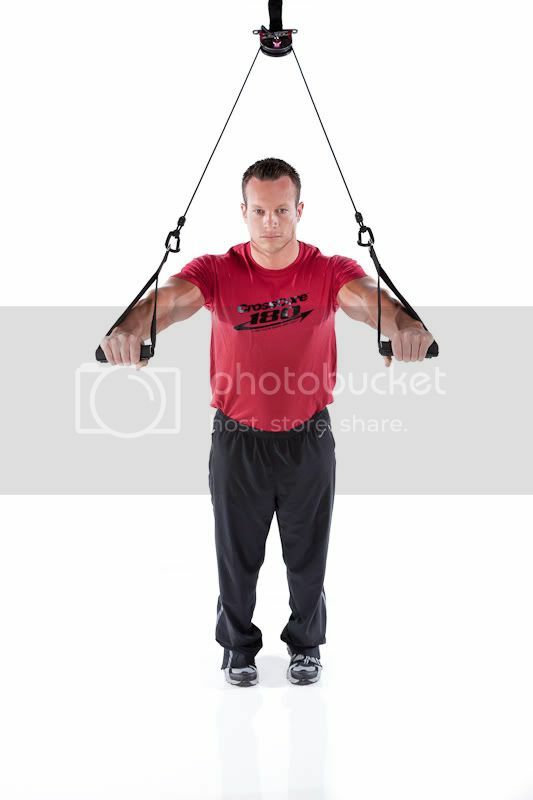 Does the units rope/straps have endless length adjusting capability? Does the system utilize a single anchor point to allow for more anchoring versatility?